He is absolutely beautiful! Congratulations to everyone. Did you say you are staying two weeks?…..or three!……or….. 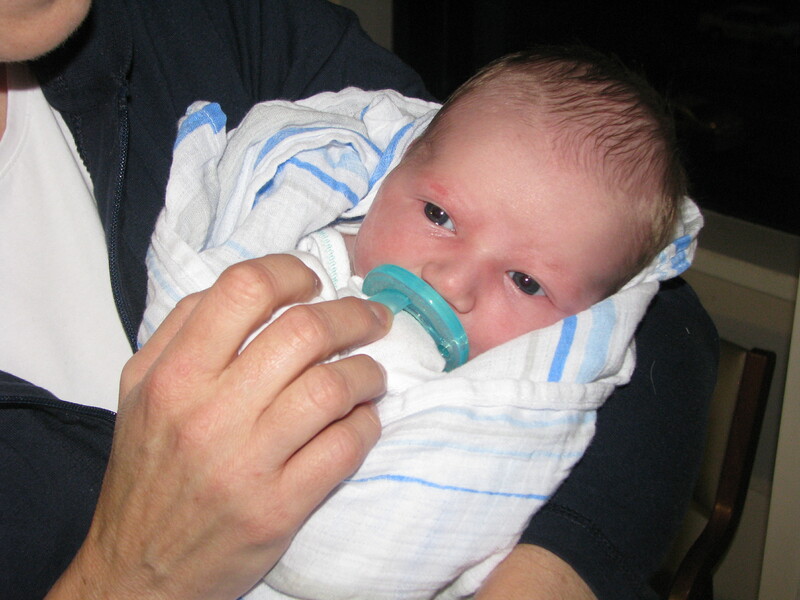 I think Mom had a black “hoodie” on the night Logan was born and in the first pictures we have of her with him. 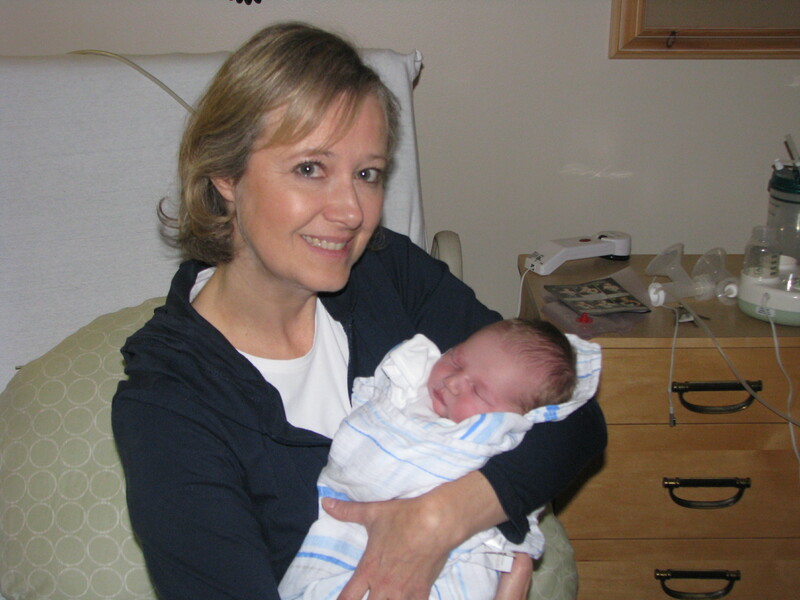 If i squint a little and look at your eyes and imagine the hair a little darker, it looks like my mom holding Logan…. Enjoy your visit! He is precious! Heaven sent and heavenly scent! *HS* No words can express- PRECIOUS!!!!! Katie, You have inspired and touched so many lives with your life and your family. 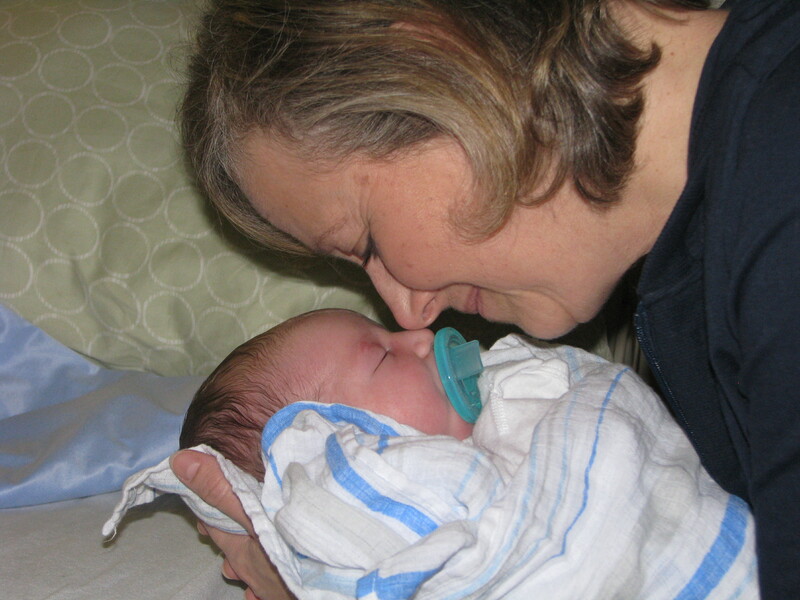 Joy swells up when I see your Mom holding him, knowing the peace and apppreciation of having your Mom present with you after giving birth. There are no words to describe. God bless you all! Soooo HAPPY for all of you!! Such a special little boy with so many special people; & so much LOVE. Happiest Valentines Day! !God Bless You all! Congratulations! He is a beautiful baby. “I am in love” No tittle necessary. What a precious gift!! He is absolutely beautiful! Precious, priceless pics you posted! Enjoy every moment! I could almost smell him through your photos! He is adorable. So happy for all of you. Kiss him under his chin. 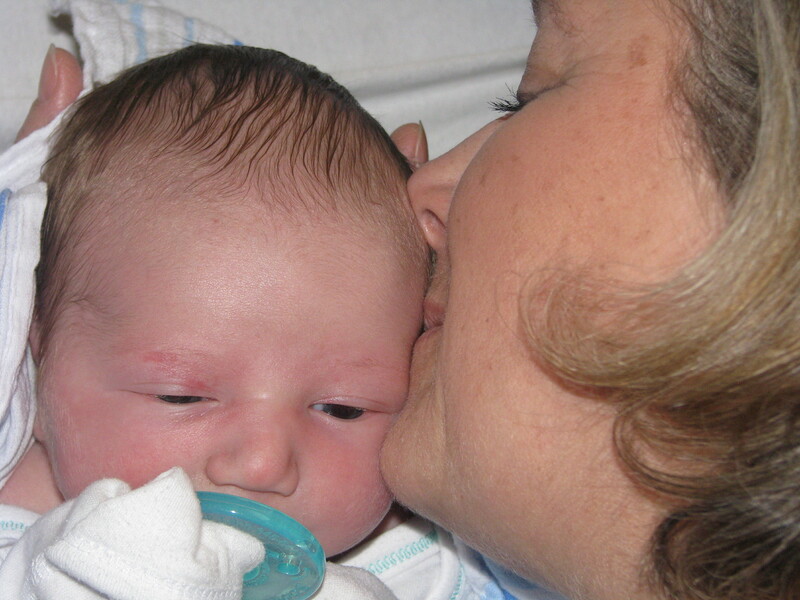 What a treasure and a blessing grandchildren are and I can tell you are in heaven with him. I am happy for you!